This article is reprinted from the March, 1998 edition of Your Jerusalem and was the first in a three part series detailing some of the lesser known but fully documented activities of Dr. Alfred Heinz (Henry) Kissinger. The focus of the first part is background: Kissinger’s early years which, it will become clear, strongly shaped his world view. 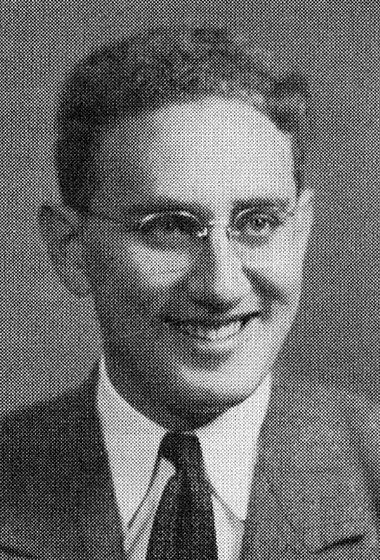 Photo of Henry Kissinger from his 1950 Harvard College yearbook. The paper trail for much of this scenario leads back to a program which unfolded in the last days of World War II. After fighting a horrendous war and witnessing vile crimes against humanity perpetrated by the Nazi regime, the United States military and intelligence communities decided to recruit thousands of the worst Nazi criminal scientists to work for them in America and other parts of the world, and then attempted to cover it up. Someone had to seek out and gather these Nazis in the chaotic aftermath of the war. Army counter-intelligence employed the services of a particularly gifted young Jewish soldier who had escaped Germany three months before Kristallnacht. This same person would go on to be a top American adviser on nuclear arms and head various other top-level government councils. He would decide to develop biological alternatives to nuclear weapons in around the year 1970. Besides working in powerful government positions, he then set up a consulting service to advise clients for a fee. The man to whom we are referring is, of course, Heinz Alfred (Henry) Kissinger. In this and coming articles we deal with Kissinger’s exploits into shaping American, Israeli and world policy. In this first article, however, we give some crucial background on a man whom we shall probably come to know quite well over the coming months, a man who became a chief adviser to the Hollinger Corporation which purchased the largest English language newspaper in Israel for which he now writes a syndicated column. Perhaps this may be enough for the leaders of the El Paso, Texas Jewish community to seriously question the wisdom of holding their upcoming lecture by Mr. Henry on the fifth of May next to their Holocaust Memorial Museum. The remainder of the article is excerpted from the book Emerging Viruses by Dr. Leonard G. Horowitz, D.M.D., M.A., M.P.H., a graduate of Harvard University and an internationally known authority in public health information. The book is meticulously documented and readers interested in learning the original sources may obtain a copy of the book through Amazon or other booksellers. Henry Kissinger was the first-born son of German Jewish parents, Louis and Paula. The couple led their family to freedom in August 1938, less than three months before the Kristallnacht riots destroyed most of the Jewish institutions in Nazi Germany. “Give me a break,” I thought on reading this, he’s either got to be kidding or steeped in massive denial. I, too, was a first-born son of a German-Jewish father and Austrian mother who were also fortunate to have survived the Holocaust. I could relate to Kissinger’s plight better than most. Given this background, plus my postdoctoral degree in behavioral science, I understood well the role persecution can play in the development of personalities and personality disorders. My mother, at age sixteen, was among the last group of Jews to leave Nazi Austria. Her immortal picture can be seen in the National Holocaust Museum, where she, among dozens, was photographed on her knees, scrubbing the streets of Vienna at Nazi gunpoint. Though Kissinger may have been spared the worst, I found it incomprehensible that he could have left Nazi Germany, at that age and time, unfazed. 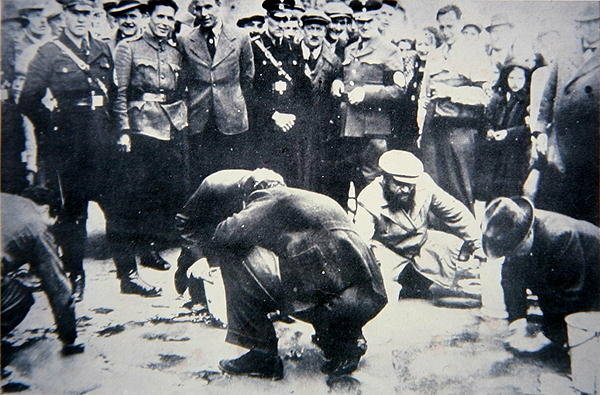 Nazis force Jews to scrub the streets of Vienna, 1938. For Kissinger, the Nazi experience severed the connection between God’s will and historic evolution – a basic principle of the Jewish faith and one of its most important contributions to Western philosophy. For faithful Jews, historic meaning is linked to divine justice. After witnessing Hitler’s horror, Kissinger abandoned his religion and embarked on an intellectual journey to find an alternative way to interpret history. Kissinger’s traumatic childhood also instilled in him “a deep distrust of other people.” He felt compelled to establish secret wiretaps on the phones of even his closest aides. Another symptom of Kissinger’s Holocaust rearing was his tendency to disguise, as an adult, any sign of personal weakness. This compulsion of his had been commonly observed, particularly in his approach to foreign policy negotiations. Kissinger’s father, “whom he loved deeply, was graced by gentleness and a heart of unquestioning kindness. But such virtues served only to make him seem weak in the face of Nazi humiliations.” Thus, as Kissinger matured, he “repeatedly attached himself to forceful, often overbearing patrons with powerful personalities,” including Nelson Rockefeller and Richard Nixon. As a result, Nixon’s Secretary of State became a philosophical, intellectual, and political conservative. He developed an intuitive aversion to change through revolution and became “uncomfortable with the passions of democracy and populism.” In essence, Kissinger never embraced “the messy glory of the American political system” particularly since it constrained his “Realpolitik” approach to administering foreign policy. The cure for this moribund state of affairs, according to his thesis, lies in the development of personal awareness and “inward conviction” of each individual’s freedom – a philosophy advanced most notablly by the famous French existentialist Jean Paul Sartre who, following the lead of Karl Marx, became a principal promoter of communism. Kissinger’s Realpolitik – his practical philosophy of political history – as described in his Harvard thesis and demonstrated by his diplomatic behavior, showed that throughout his career he sought to “preserve [and even define a] world order.” World peace was, therefore, not the defining policy objective for Kissinger. Kissinger believed that a “balance of power” was the best that could be obtained. This, he believed, could be achieved through the acceptance and control of limited conflicts – “small wars.” With this in mind, the diplomat’s mission was to insure that the United States and not the Russians would lead and win many of these. 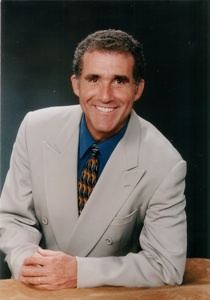 Dr. Leonard Horowitz, author of Emerging Viruses. Next month we will investigate the American recruitment of Nazi scientists after World War 2 (Operation Paperclip), the 1970 U.S. Department of Defense directive to develop immune system ravaging viruses, and Henry Kissinger’s involvement in both. Log in | Register |	93 queries. 0.767 seconds.